Before 2008, urban and rural people who were unemployed could register under two different schemes namely pradhan mantri rozgar yojana and for the rural people it was rural employment generation program. In the mentioned year the PM had merged both the schemes into one and announced a new scheme namely Prime Minister Employment Generation Program (PMEGP) for the unemployed citizens of the nation from rural as well as urban areas. 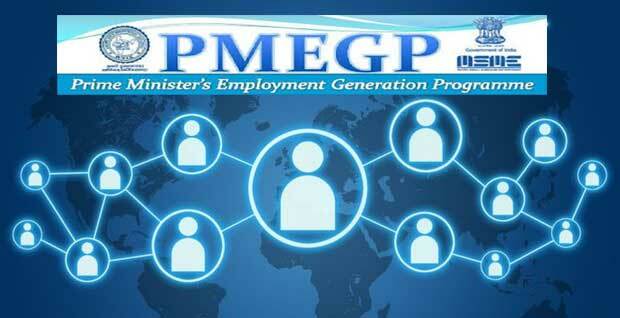 PMEGP will be implemented in rural and urban areas. In the rural areas the program will be executed through Khadi Village Industries Commission and Khadi Village Industries Boards. On the other it will be executed in urban areas through District Industries Centres. The ratio between these three mentioned sectors i.e. KVIC: KVIB: DIC will be 30:30:40. The financial assistance or loan will be provided to those who want to do something productive on their own. Under this scheme there is no fixed ceiling of income level of the applicant to set up their project. Beneficiaries who are willing to set up new projects will only be able to take up the loan. Already existing projects or projects that are going on in a small extent will not be eligible under this scheme. If the project is setting up in plain or general areas then the per capita investment on the project should not be more than Rs. 1 Lac. On the other if the project is setting up in hilly or difficult areas then the maximum amount of investment will be Rs. 1.50 Lac. In case of manufacturing sector the project cost can go up to maximum amount of Rs. 25 Lac and for the service sectors the amount will Rs. 10 Lac. The cost of projects will not be more than the mentioned amount. The applicants can apply for the loan through online application mode. The application is available on their official website. Some of the industries are excluded from this scheme while some are included. Any industries apart from producing and selling of meat, intoxicated products, polythene bags, processing of products made by Pashmina wool and involves hand spinning will be included in the scheme. The scheme is aiming to provide financial assistance to the unemployed youth who are willing to set up their business. Those who are unable to find a job can avail this scheme for their betterment. As the scheme provides loans to the unemployed youth to set up micro business hence it leads to development and growth of the micro sectors across the nation. Also the scheme will encourage the leading banks to lend large money to the development of the micro sectors. The large investment on this sector will help both banks and micro sectors to grow more. The applicant must be of 18 years or above. No loan will be granted on the name of any minor in the country. Applicants who have projects under manufacturing sector and project cost is above 10 Lac will have to finish at least 8th standard studies from any recognised educational institute. Same will be applicable for the applicants whose projects cost Rs. 5 Lac and above under service sector. Self help groups that belong to BPL category are also eligible to register under the scheme. Those groups that have not taken any help from government or have not taken any scheme earlier are also eligible for loan under PMEGP. If there is any existing project or a project that has already taken some other facility from the government of India will not be eligible for the scheme. Only new projects are able to apply for the scheme. There will be no ceiling of income for the loan. Production related to meat, intoxicating elements, polythene bags, pashmina wool and such are not eligible to take up the loan under the scheme. Other organisations like charitable trusts, institutes registered under SRA (societies registration act) and production co-operative society are also eligible for applying loan under this scheme. The projects and the scheme will be totally funded by Central Government of India. The cost of the projects will not be more than Rs. 25 Lac for any project under manufacturing sector. The coat of the project will not be more than Rs. 10 Lac for any project under service sectors. Telengana state government granted Rs. 1 Lac for the youths who are unemployed across the state under the PMEGP scheme. According to the sources nearly 10, 000 unemployed had received the money from the state government. The scheme had been started in the areas under KVIB and KVIC in rural areas as per the KVIC Act 2006. In the urban area the scheme will be implemented through DIC sectors. In rural areas places where villages comprise of not more than 20, 000 people are being considered as the eligible locations of operations of the scheme. The authority has started e-tracking system for the scheme. The reason behind such data base is to have transparency in the scheme. According to the authority introduction of e-tracking system and online data base will help the authority to track the applicants and their needs. Also there will not be any fraudulent cases or corruption will arise in the system. Government of India has stated that applicants will be eligible to register under the scheme through online registration process, through which both the authorities and applicants can track their forms and details of the scheme. Online Application for the scheme is available in the official website of KVIC. Click on the link http://www.kviconline.gov.in/pmegp.jsp and you will be redirected to the application form. You need to enter your 12 digit unique Aadhaar number at the first place, followed by other basic details like name, gender, sponsoring agency, sponsoring office, state, district, date of birth, qualification, special category or general, address, PAN no and other communication details. Next, you need to enter the details of your project like industry type, financing bank, loan type and such. Make sure to enter a valid and running mobile number to register under the scheme. After finishing the form fill up you need to click on the save button. The application form fill up process will be done once you save and submit the form online. You will receive your application details such as ID, submission confirmation and application password on your registered mobile number. Micro, Small and Medium Enterprises Minister Shri Giriraj Singh announced on the 18th July that Prime Minister’s Employment Generation Programme or the PMEGP has produced satisfactory results. He mentioned that around 11 lakh new occupational opportunities have been created under this scheme. He also highlighted that the central government has succeeded in reviving sick textile and khadi industries as well. The main focus of this project was to offer financial assistance to women and people belong to backward categories. Central government has taken many proactive steps to support small and micro business ventures. With the establishment of each new business, many trained youths will get jobs.